﻿﻿﻿Joining me today is Winemaker Tim Bell, from Dry Creek Vineyard in Sonoma, California. I’ve written about the wonderful wines of Dry Creek Vineyard before, so it only seemed natural to get some additional insight into the wines. Before we dive head first into the discussion, I would personally like to thank Tim for his time and collaboration and also Bill Smart, the Director of Communications for Dry Creek Vineyard for facilitating the interview process. Welcome to Tuscan Vines, Tim! Perhaps we could begin with a bit of background. 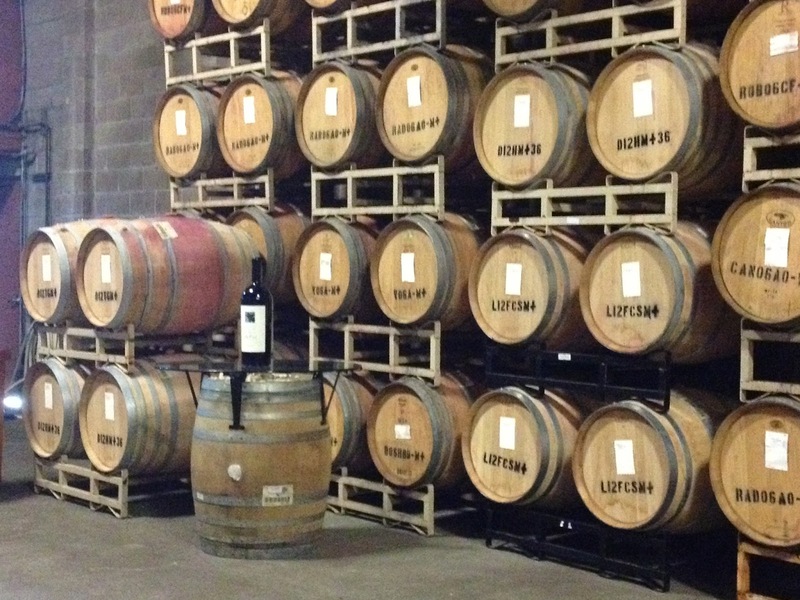 Despite long time experience in the industry, you only started as Dry Creek’s winemaker in August of 2011. Were you able to influence the 2011 harvest or was that already in the cellar? You know the old cliché about wine being made in the vineyard? WelI, it is at least halfway true. Starting in August made this a transition year for my influence as a winemaker: I didn’t get to influence early vineyard decisions, but the important decisions weren’t over until the fruit came off the vines, and I was involved in those. But even if I had not ever set foot in the vineyard and just received grapes, I would have had a decisive hand in shaping the character of the 2011 wines. As another winemaker once said, “Grape juice doesn’t want to be wine, it wants to be vinegar!” The role of the winemaker obviously doesn’t stop once the fruit is picked. So then 2011 will be the first vintage at Dry Creek where you’ll be completely overseeing production? Yes, 2011 is the first vintage that will see my oversight from grape to bottle. However, the final blends of the 2010 red wines were not complete when I arrived. These wines were still in barrel, so I’m helping to shape those wines through the blending process: choosing how much new oak to include, which specific barrels, percentages of various varieties in the final blend, etc. I think the first Dry Creek wine I recall having was the 1992 Meritage. What can long time fans of the winery expect from the Tim Bell era? What sort of stylistic trademark do you think will be evident in your finished wines? red wines especially can benefit from this. What does a winemaker do to accomplish those characteristics? For enhancing texture and mouthfeel, the main thing is to do a careful evaluation of skin tannin ripeness. I use a method developed by the ICV in France that requires you to chew the skins the same number of times every time and rub the pulp around different places in your mouth. As for fresher fruit flavors, that is enhanced by the right light exposure to bunches in the vineyard, and keeping rackings to a minimum. I also believe it is enhanced by aging the wines in a slightly cooler cellar, about 58-60 F.
We hear so much debate lately about alcohol levels, excessive ripeness, and the evolution of balanced wines for the table, into “cocktail wines” i.e. wines, that don’t really marry well with food. How do you view this debate? Like a lot of things, the answer usually lies somewhere in the middle. It is great that people are questioning alcohol and ripeness levels—there’s been a lot of over-ripe, raisiny wine produced over the last 10-15 years. But it’s a mistake to arbitrarily state that a wine can’t ever be above a particular percentage of alcohol. If the wine tastes balanced at 14.5%, then that’s fine. On the other hand, if you have ripe flavors and phenolics at 22.5 brix and end up with 13% alcohol, then that is okay also. I would agree and I’m happy as a Dry Creek fan to hear you say that. I think balance is the key to wine. Like an orchestra playing a great musical piece, all the instruments work together to create the whole. If a wine isn’t balanced when young, it can’t become balanced with cellaring. Do you agree? On the whole, yes, I would agree. I have, however, seen wines with tannins that are a bit too chalky for my taste become more balanced with a year or two in bottle. In that case, patience is rewarded. How do you and your assistant winemaker, Nova, split responsibilities in the cellar? For example, does one of you oversee reds, and the other, the whites? Is the division that clear? The division of labor is like this: I do top level planning, such as making sure we have our grape supply in line with demand for our wines, setting the bottling schedule, and so forth. I set parameters for how to handle fermentations, what barrels should be used for a given lot of wine, the starting ideas for blends, all the things that work to accomplish our stylistic goals. Nova takes care of maintaining bulk wine records, laboratory analyses, writing work orders for the cellar crew, and keeping on top of each job as it progresses through day or week. He has a good understanding of how much work can be accomplished each day and offers his suggestions on how to accomplish and schedule our goals. And his is another educated, trained palate with valuable ideas on how to tweak our trial blends. We both work on all the wines, white and red. It’s a good partnership! Some of my favorite wines from Dry Creek have been the blends; the Mariner and the Meritage. The blend for each changes regularly, with the latter seeing more swings in recent vintages. How do you plan to approach these wines? How easy is it to draw a distinction between the two? The general goal is to have the Mariner be a bigger, more masculine wine and the Meritage to be a more elegant, feminine style, both within the Bordeaux tradition. Each year is approached differently, depending on the characteristics of a particular grape variety or lot. With five different grape varieties and several sub-lots of each variety to work with, it isn’t hard to come up with two distinct blends. What do you see, thus far, as your greatest challenge to address at Dry Creek Vineyard? Do you see it as a cause for concern or excitement? My greatest challenge has been to taste as many vintages of our different wines as possible and get a clear vision for the style of each particular wine. This is the kind of thing winemakers live for! If the vision for a particular wine needs some fine-tuning it may require careful discussion internally to bring everyone onto the same page. That’s a challenge that invigorates me! 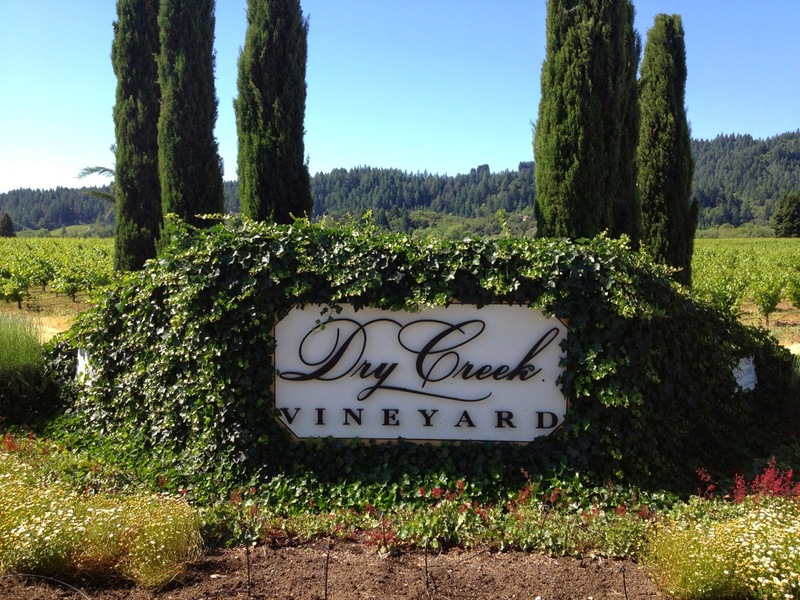 You have the unique experience of having recently arrived at Dry Creek. 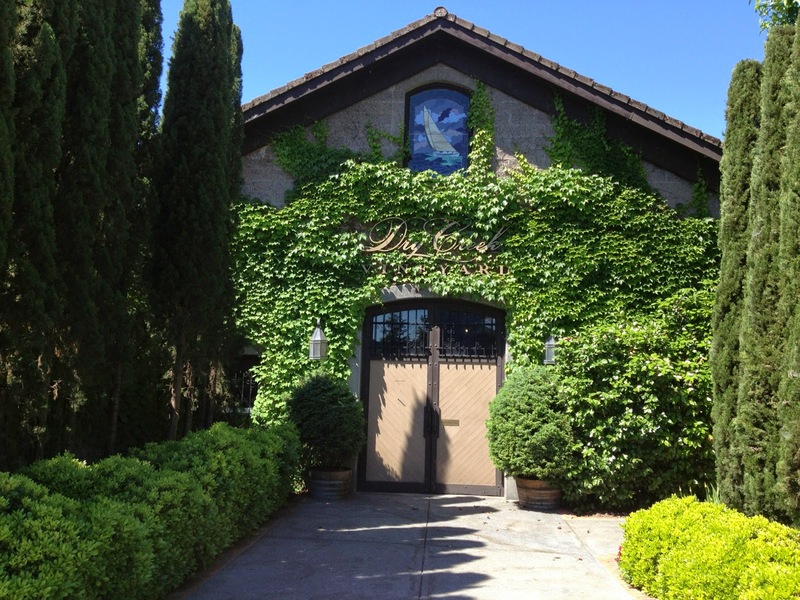 In viewing the situation through “fresh eyes” what strikes you most about Dry Creek Vineyard that is unknown? What would you shout loudest about if given a megaphone? I don’t know if I could really say that there is something unknown to reveal, but two things really stand out: One is the integrity and passion of proprietor Kim Stare Wallace: there truly is a vision and sense of mission here that you don’t always see in other family-owned wineries. I think she inherited that from her father! The other might seem puzzling, but I don’t think Dry Creek has really received the credit it should for our Zinfandels, particularly the single-vineyard wines. They truly are something special! I’m pleased and proud of that quality. Why do you think that is? Do you think it’s related to the limited nature of their production? I have always loved the Dry Creek Zinfandels, because like the rest of the wines, they are balanced. As you mention, that’s the key to a great wine. Too many Zinfandels are overripe and jammy. I suppose the limited production is a factor; I think many major publications also feel a need to keep looking for the next new winery to write about so when you’ve been around for forty years, they don’t feel the same excitement. At some point, the longevity becomes a positive again and a story in itself! Given the name of this website, I obviously have a great love for Italian wine. I was surprised to learn that your defining “wine moment” came when you tasted a Tuscan; Viticcio’s Prunaio. I’ve had this wine many times, it has a sort of brunello aristocracy to it. Have you ever made a pure Sangiovese? 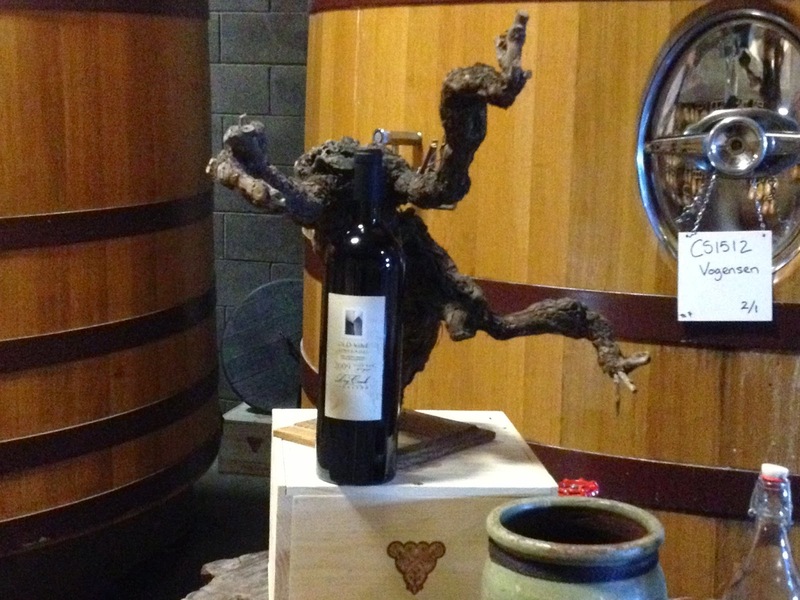 Do you think you could produce one at Dry Creek – perhaps for the Vintner’s Select Club? Yes, Prunaio was a big moment for me. The other was a white Burgundy —I was lucky enough to have a taste of a barrel of Chevalier Montrachet in the cellars of Laboure Roi. I can still taste the intensity of that beautiful wine! I have made pure Sangiovese at both Freemark Abbey and Kunde. I think California Sangiovese can be beautiful but it requires the right combination of clone and vineyard site. We just have not put in the time or effort to figure out what works here. Dry Creek Vineyard did make some Sangiovese back in the late 90’s, but decided it was better left to the Italians. I think we could do well with Sangiovese if we picked the right place to plant it—probably a rocky, well-drained hillside. But that sounds like good cab ground, too! I agree, Tim. I always tease friends about California Sangiovese because to me, it seems like winemakers let it get too ripe and it ends up resembling Zinfandel. You get no argument from me leaving Sangiovese to the Tuscans! Finally, after a long day toiling in the Dry Creek Cellars, what does Tim uncork when he goes home to relax? Our “house white” and “house red” at the Bell home is usually Dry Creek Fume Blanc and Heritage Zinfandel. One special wine I’ve been enjoying especially lately is the 2009 Spencer’s Hill Zinfandel. Aside from that, I like to try some moderately priced Italian or French reds. Corbieres has been a region I’ve been exploring recently. Those seem like two good choices to me. I’m anxious to try the 2011 Fume Blanc – it’s always been a great pesto wine for me. Don’t forget the crab! Mmm! I’ll definitely make a note of that match as my sons love crab! Thanks again Tim for joining me and providing an interesting background to your thought process as Dry Creek’s winemaker. I wish you the best of luck and can’t wait to taste the 2011’s; starting with the Fume Blanc in the near future. Wow! How did you manage that? You must have some serious pull at DCV if you can wrestle the winemaker away for half an hour for an interview. Thanks! I think this interview speaks more to the quality of the people at Dry Creek than it does to any "pull" I have. It's just one more reason why I enjoy supporting them. Small family business with good products…. I have a few more interviews lined up as well, so hopefully I'll be able to post one at somewhat regular intervals this year. Insight and reflection add to the drama of drinking a wine, and you guys have written a fine page to the book, now to ferret-out those wines. Thanks Dennis, I was pretty excited to do this. Tim seems like a great guy and is genuinely excited about his new start. His enthusiasm really came through in his answers. Looking forward to doing some more.